Assign locations for exhibitions, retail spaces or collections. Locations are anywhere that your artwork is showing or has shown in the past. You assign locations any time you have work showing in an exhibition, retail space, permanent collection etc. Click on Locations in the left-hand menu. Select the Location for which you want to manage your inventory. Click on Manage Inventory and select Add Inventory from the drop-down menu. Add the start and end dates that your inventory will be in this Location. Then select the Pieces in the left-hand column going to the Location, and click the gray Move button. You can also click on Pieces in the right-hand column and click Move to return them to the list. Click Assign. Click on Locations in the left-hand menu. Select the Location for which you want to manage your inventory. 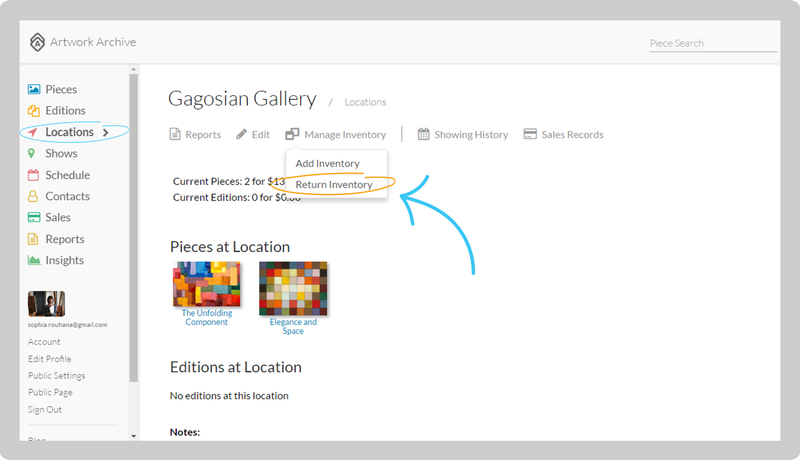 Click on Manage Inventory and select Return Inventory from the drop-down menu. 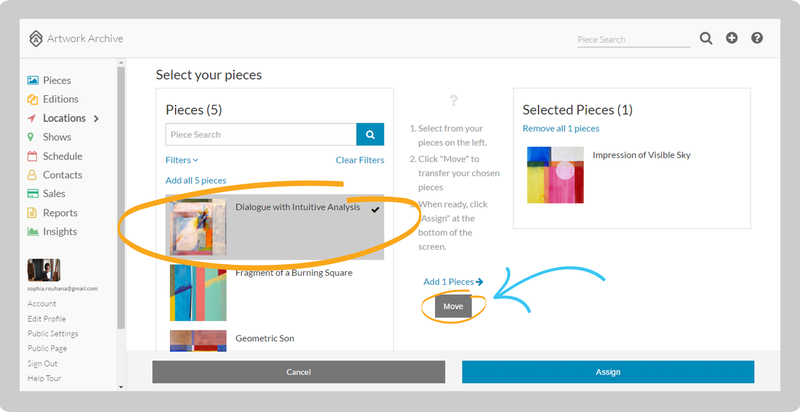 Select the end date for your Pieces at the Location. Then click on the Pieces in the left-hand column returning to your inventory and click the gray Move button. You can also click on Pieces in the right-hand column and click Move to return them to the list. Click Assign. Note: You can only add or return pieces within your inventory, not pieces that are sold or in another location. To change the location of these Pieces, click on Pieces in the left-hand menu. 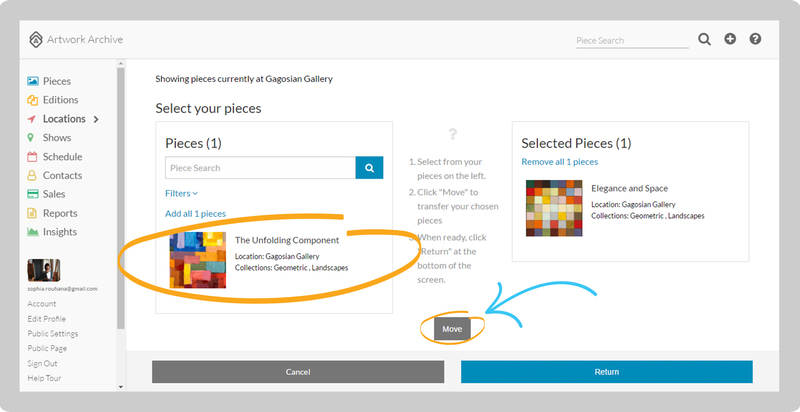 Select the Piece and click on New Location Record.